Founded in 1990, M.A.R. 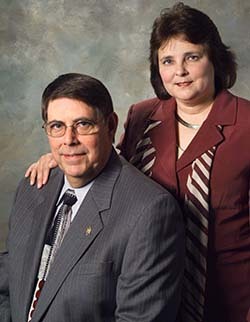 is owned and managed by Jerry F. Mathis CLU, ChFC, and his spouse, Mary A. Rodriguez LUTCF, RHU. Mathis and Rodriguez share the management of the agency and divide the responsibilities of market research and product review along the lines of their individual expertise. Both Mathis and Rodriguez are active members of several professional insurance and financial services associations and are frequent speakers on the subject of insurance and financial matters to consumer groups. M.A.R. represents employers and associations as an agent and benefits broker, helping to select and manage group policies for medical, dental, vision, disability, life, and supplementary insurance products. M.A.R. markets fully insured plans from all major carriers and self-insured plans through a number of licensed TPAs and re-insurers. M.A.R. also provides comprehensive full-service insurance and risk management services to Texas individuals and families. Additionally, since both Mathis and Rodriguez are licensed by the Texas Department of Insurance as Life and Health Insurance Counselors, M.A.R. Financial is one of the few Texas agencies legally empowered to provide fee-based insurance consulting services to its clients. M.A.R. is committed to providing leading-edge support, as demonstrated by the recent addition of a property and casualty division which rounds out the insurance services available to its clients. M A R was an early adopter of imaging and database technologies that improve service efficiency and increase client satisfaction. Hi-tech is important in our rapidly changing business environment, but Mathis and Rodriguez remain focused on providing the kind of high-touch service that is becoming all too rare in today’s e-commerce, digitized world.